We’ll be writing to Ecology’s members soon to invite them to vote at our AGM and Members’ Meet-up. Members will be voting online, completing a proxy voting form, or attending our AGM, taking place at The Priory Rooms in Birmingham on Saturday 28 April. In a guest blog for Ecology, Ed Mayo, Secretary General of Co-operatives UK, the national association for co-operative and mutual enterprises, discusses why member-owned businesses such as Ecology should be proud of their democracy. Listening matters, because that is the way that genuine conversations develop and true learning happens. The challenges we face as a society, or with ecological threats as a species, will often require us to come together, to learn and to take collective action. Instead what we see is a pulling apart, flags of identity, nationalism or communities wanting to taking back control. What is your own balance of talking versus listening? I find I enjoy talking, and that is my instinct, but I know that I only really develop by listening. I owe a lot to friends and family that I have stopped to listen to. I miss late friends and family whose voices are gone, but whose memory I still find to be a guide. 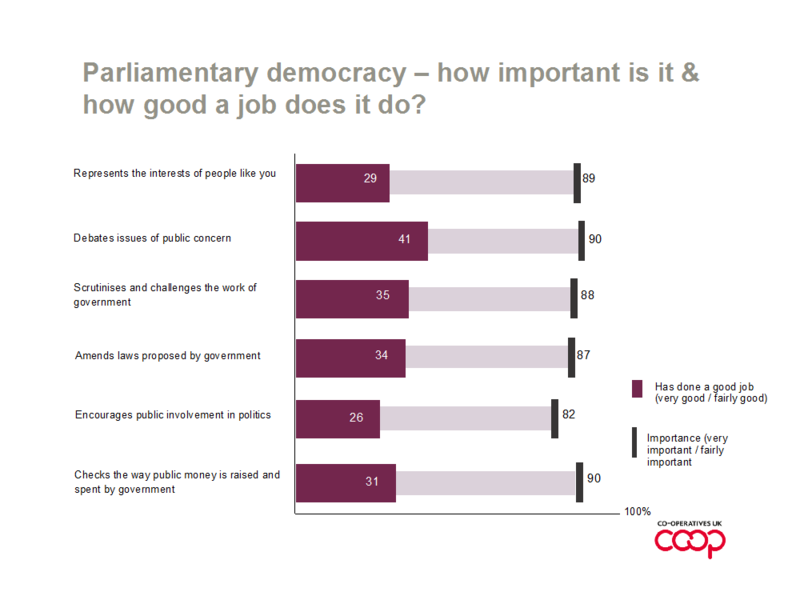 You might think that democracy is in a bit of a crisis, that there is a gap between what we want and what we have, and the data on public views on parliamentary democracy from the Hansard Society seems to bear that out. But some of the most profound and hopeful thinking and practice around democracy now stresses not the once every few years vote at the ballot box, but the extent to which across society there is an open public conversation about things that matter. The word used by writers such as Simon Burall of the democracy charity Involve is ‘deliberative’ – that the way to a deeper democracy is to encourage decision making on sensitive issues that allows for public deliberation. When it comes to sustainability, I would argue that democracy is all the more important. Yes, it can feel like nation states drag their feet when it comes to species loss or climate change, because each is responding to their own electorate rather than the shared interests for action across all. The Romans would appoint a dictator at times of crisis (all of whom except one, Quintius Cincinnatus, held on to power as usurpers after their mandate) – is that what is needed? The answer is no because sustainability is not about simple decisions but about complex natural systems that will require us to adapt as the challenges ahead emerge. Democracy is a better and more systematic way to do that, as those who need to change are those who will have been involved. All this is one more reason why businesses such as Ecology Building Society (which will soon be writing to its 9500 members to invite them to participate in their AGM and election of Board directors ) matter and why if you happen to be a member, you can be proud of the democracy that exists at the heart of that and similar businesses. A mutual, or co-operative, business is one that is owned by its members. It is a democracy because this operates on a one person, one vote – so weighted by people – unlike PLCs which work on a one pound, one vote basis – weighted by finance. There are 2.9 million co-operatives worldwide, involving around one billion people. Democracy, it turns out, is a good way to surface new ideas. It is a way to get things done. And it is a way to bring people together. The best of these democracies work where those members take care to engage, to vote and to ensure that the people who represent them have the commercial skills, the ethical values and the independence of mind between them to take the business forward. 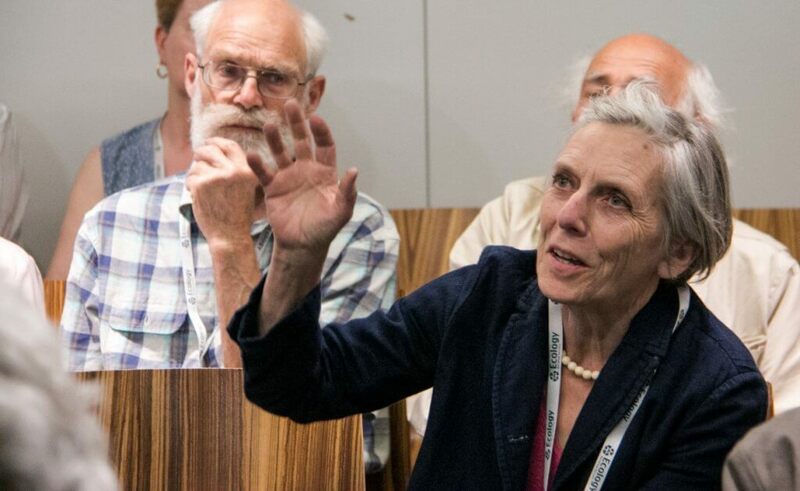 Having ‘economic democracy’ of this form, as also in many community level associations and clubs across the UK which are organised along democratic lines, helps to build the skills of democratic participation and the qualities of deliberation. We learn to speak and to listen. We learn to engage and to learn. We learn how to act together. So if you are a member of one of these, the next time you talk, remember that you are already part of a more hopeful conversation about democracy and the future. 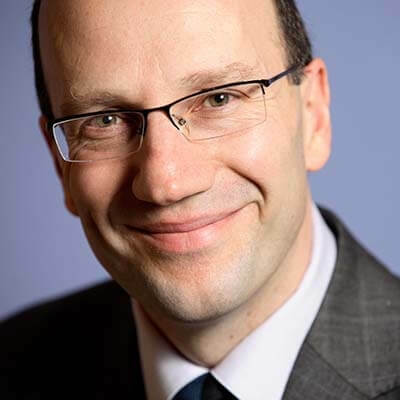 Ed Mayo is Secretary General of Co-operatives UK, Chair of Involve and author of two recent books, ‘Values: how to bring values to life in your business’ and ‘A Short History of Co-operation and Mutuality’.